Featuring characters from Cassandra Clare's international best-selling novels from the Shadowhunters world including The Mortal Instruments, The Infernal Devices and The Dark Artifices, this anthology showcases beautifully illustrated portraits from Cassandra Jean - creator of The Shadowhunter Tarot - alongside never-before-known details from Cassandra Clare about all your favourite characters. Cassandra Clare is the author of the #1 New York Times, USA TODAY, Wall Street Journal, and Publishers Weekly bestselling Mortal Instruments series and the Infernal Devices trilogy, and coauthor of the Bane Chronicles with Sarah Rees Brennan and Maureen Johnson. 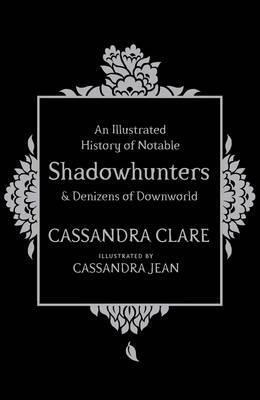 She also wrote The Shadowhunter's Codex with her husband, Joshua Lewis. Her books have more than 36 million copies in print worldwide and have been translated into more than thirty-five languages. Cassandra lives in western Massachusetts. Visit her at CassandraClare.com. Learn more about the world of the Shadowhunters at Shadowhunters.com. Cassandra Jean is an illustrator and comic artist who spends her days toiling with a pen in her hand and her faithful dog sleeping at her feet. The radio is always on, and Gatorade is a constant source of power!